Your father probably didn’t care. Your grandfather probably didn’t care. You probably could not give a flying pig at Easter who did what when either. Well, that is the beauty of it. You do not have to care. When buying a B&O product you do not have to know the story behind the company – although that story is pretty impressive. You do not need to know the technology behind the product – although it is cutting edge. 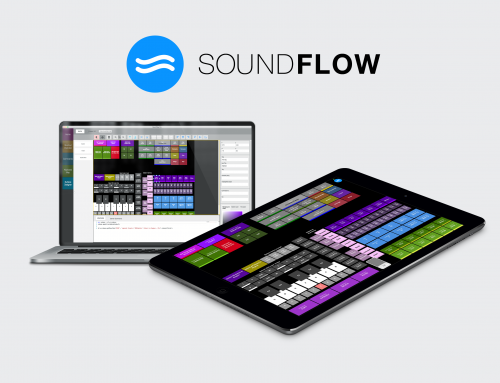 All you need to know and care about is sound, great sound. And when dealing with a B&O product, sound is of the highest order. That is true for all their products, but none so more than the BeoLab 90. The BeoLab 90 is a flagship product. Unmistakably so. From the moment you see it and the first time you touch it to the second you hear it (oh, you should be so lucky) and it seems to disappear entirely. History, experience, the Danish Design tradition and technology brought to its peak performance melts together to form a product of the highest quality. That is why, that even though your father and grandfather didn’t care about B&Os history, chances are that they owned one of their products. Not because of the founders, not because of its classic Bauhaus-style logo, but because they knew that the B&O brand meant one thing above all else: Quality. And that brand is built by B&O’s history. You read that right. The Eliminator. You are off to a good start if that is what you call your very first product. And B&O did. 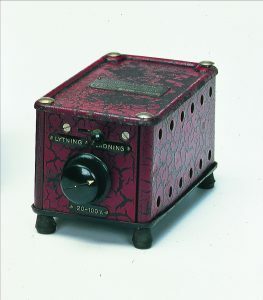 The Eliminator removed the need for batteries, which in 1925 was a common way of powering your radio, allowing you to plug your radio directly into the mains. “You will never have to be embarrassed in front of guests again”, the advert said playing on the dreadful faux-pas of running out of battery just as you are ready to showcase your recently purchased radio-transmission-receiver device. Note: true to form, B&O has never made a product since that people would be embarrassed to display – and at the moment the B&O PLAY division are proving once again that quality never goes out of style, with young people everywhere donning their B&O headphones. 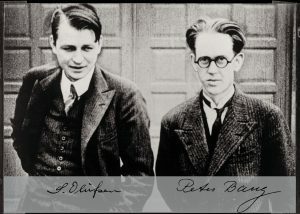 Time passes, and Bang & Olufsen turn their attention to what was their true passion, creating the radios themselves. Moving through the thirties production is ramped up, new headquarters is found, and the classic logo appears. 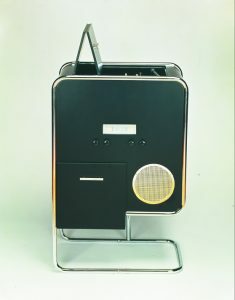 Bauhaus-styles are tried with the Hyperbo, while more traditional styled radios are pulling the sales weight – and just as the logo is still the same these many years later, it is already in 1939 that the tag “Beo” is first introduced in the Beolit radio. Since then, B&O has gone from success to success, with MoMA exhibitions and as Suppliers to the Royal Court. Divisions like Medicom and Automotive have been created and sold off, sales have gone up and down (and, lately, very much just up), but one thing have remained the same. The quality of a B&O product is at the very highest. As is the designs. B&O have kept on innovating and pushing designs to the very edge and beyond. 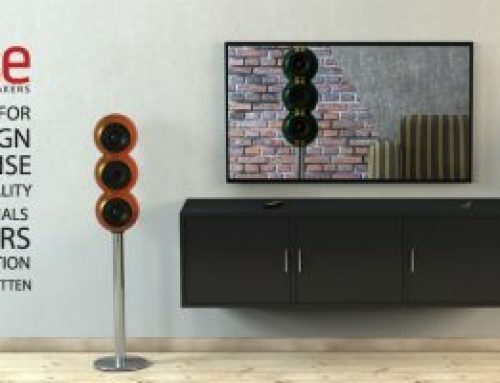 From revolving TVs, strangely shaped 6-disc CD-players, long thin remotes that you either loved or hated – or simply never learned how worked – to radios like the Hyperbo from 1934 that look more at home in a minimalistic 80’s Hollywood home have made way for new ways of thinking User Experience and product design. A certain je-ne-sais –quoi? No, there is no doubt as to what that quoi is: Talent matched with imagination, sprinkled with a healthy dose of targeted insanity. One of the latest hints of that insanity? Telling your acoustic engineers to “go nuts”. The result? 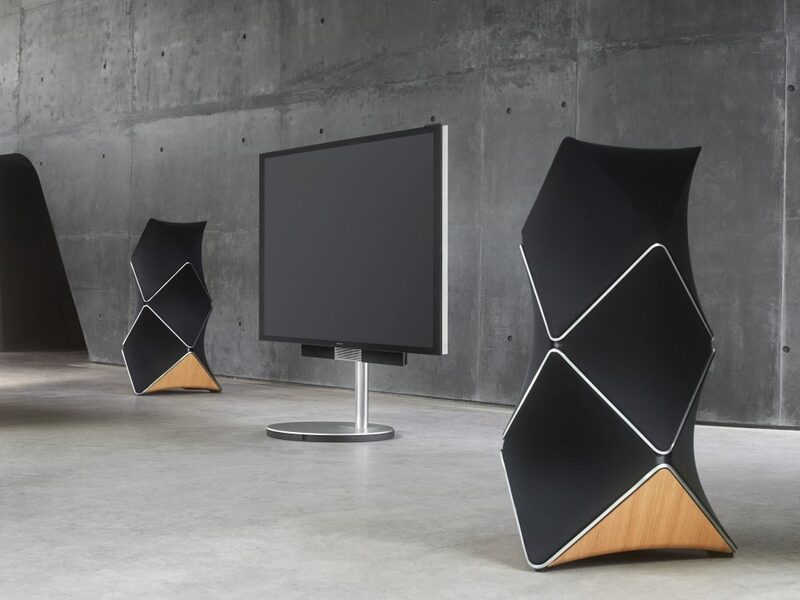 The BeoLab 90 – a truly ingenious, inspired, top quality product that make no compromises anywhere. And, as you will see, that entails quite a bit of delightful insanity. In Struer, still the hometown of B&O, they have a special room in the basement for those very fortunate people visiting the Danish sound brand. Completely furbished with the latest BeoLiving tech – meaning that you can control the drapes, the lights and most everything else from a single remote. It is built for listening demos and a great room to experience anything audio or video. This is the listening room for BeoLab 90. Not that you can miss it by any chance. The BeoLab 90 is not exactly a discrete little bookshelf speaker. It is big, it has odd angles, and it is big (I know, but it really is rather big!). Matter of fact, let us review the basic specs to give you an idea. To start off as crazy as possible they sand-cast a 65kg heavy block of aluminium, in much the same way you would create a car engine. This is the cabinet. Or, cabinets, rather. Because each of the driver units has its own cabinet that is part of the whole. And there are a LOT of drivers: 1 13” woofer, 3 10” woofers, 7 1” tweeters, and 7 4” midrange drivers. Including all the quite heavy electronics needed to drive all this it comes to a staggering 137kg. In fact, “they are so heavy that we deemed pin code protection to be superfluous”, says lead acoustic engineer Jakob Dyreby smiling, as he goes on to describe what all that weight can do. “Well, basically you got 9 full stereos imbedded in each speaker, providing 8,200 watts of power per speaker – so what started off as an effort to create a big brother for the BeoLab 5 maybe got a little out of hand”, he continues. He laughs a bit without being able to hide the pride he takes in his latest product, as he goes on to explain that it is so powerful that it risks blowing the fuses in low-voltage countries like Japan. All those drivers. All that electronics. But why? “Because you listen to the room much more than you listen to the speaker, so if the room is not built for the speaker, it just sounds wrong… or bad”, Jakob Dyreby explains. “Instead we have created a speaker that controls the room, using active directivity control and advanced measurement tools to ensure a perfect room sound, when the speaker plays”, he explains, as we get closer to turning on the speakers. Before that happens, we are told one last little, quite amazing, detail about the speakers. 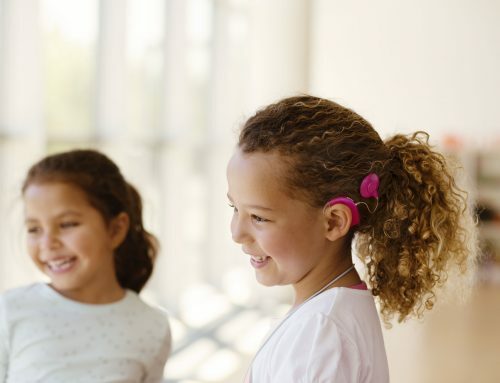 Not only do you start your ownership by doing a minimum of three measurements in 3 custom listening positions in the room, after which the speaker has learned how the room works, each speaker also compensates for the room excitation of the other speaker. 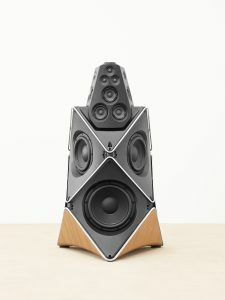 But it gets a bit more insane, as the speakers’ DSP also runs simulations for each speaker to make sure that the temperature and constitution of each driver is in check – to ensure the best quality sound… but also to make sure that the amp doesn’t rip the driver apart, because it is so powerful. There is a lot more to it than, and Jakob Dyreby presented a whole range of technologies that makes it happen: Beam Width control, Beam Direction Control, Active Room Compensation. 137kg per speaker. 274kg in total in the stereo setup. 125cm tall and 75cm wide each. Massive, towering, imposing speakers. And then Jakob turned them on. And they disappeared. Left was only pure sound at the highest quality. Sound was not played at you from a speaker. Instead it seemed to emanate from the room. Enveloping you. Focused on you. Letting you be carried away. So, you should not care about the history, when you listen to a B&O product. Because they are not in the past. They are leading the way into the future. 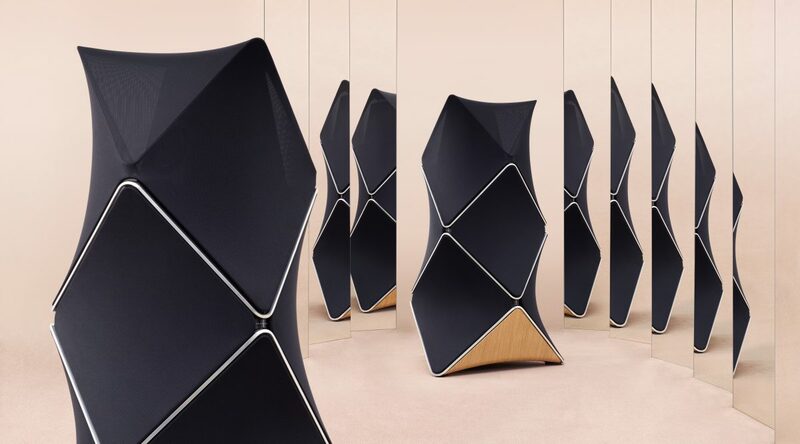 But, only in a place with a history such as B&O’s, rooted in the Danish sound and Danish design tradition, would you find the bravery needed to create the type of perfect insanity, that would result in BeoLab 90. It is undeniably beautiful. Undeniably B&O. Undeniably Danish sound. Want to know more about B&O and the BeoLab 90? Want to be featured in In Mono?